If you’ve received a job offer from a potential employer, make sure you don’t sign it before a lawyer has gone over it with you. Regulations surrounding the healthcare industry can be quite strict. This means that physician employment agreements contain things that may not be included in the physician employment contract. It’s definitely worth your while to consult a lawyer who specializes in physician employment agreements. They may very well save you from coming up with the shorter end of the stick. Wondering why you need an attorney who specializes in physician employment agreements specifically? It’s simple, really. There are two main reasons why you need a specialized lawyer to review your contract. 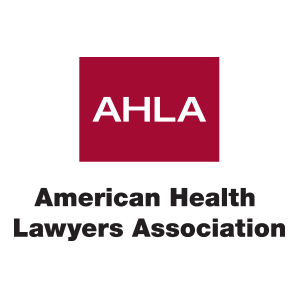 First of all, legal professionals who specialize in physician employer contracts probably know a lot about the health care industry in your area. They may even know the hospital or practice that you will be signing on to. There’s also a chance that your attorney has reviewed and negotiated contracts for other physician clients who were offered jobs at the same place of employment. In such a case, your lawyer will have a better idea of the things that your employer will be willing to negotiate and what they won’t. They’ll also be able to guide you on the things that you should negotiate and what you should compromise on so that you don’t waste too much time. How do I find a great attorney? It isn’t too difficult to find an attorney who specializes in physician employment contracts. If you have absolutely no idea where to start, just get in touch with the state medical association. It’s important for you to work with an attorney who is licensed to practice law in the state where you’ll be working because there may be specific legal requirements in the area that you’ll have to comply to. The cost of hiring an attorney to review your contract will vary greatly depending on your location. That being said, there are a few factors that may have an effect on how much you are charged. For instance, the fee arrangement may make a difference. Some lawyers charge by the hour and others charged by fixed rates. Some give you the choice. The extent of the lawyer’s services will depend on what you specify. You may only want someone to review the contract, pinpoint any catches, and give suggestions on things you may want to negotiate while leaving the actual negotiation to you. This is a good way to keep legal fees down. If you want to ensure that you’re getting the best deal possible, however, you may want to hire an attorney to both review and negotiate the contract with your employer on your behalf. Romanowsky Law specializes in Physician Contracts in the New Jersey & New York area – get in touch today to see how we can help.